This is a company based near Barcelona. They are specialists on Popping Candy. It was founded in 1979 and nowadays are selling worldwide. It is interesting because they are very much focused on a single speciality, with some variations. 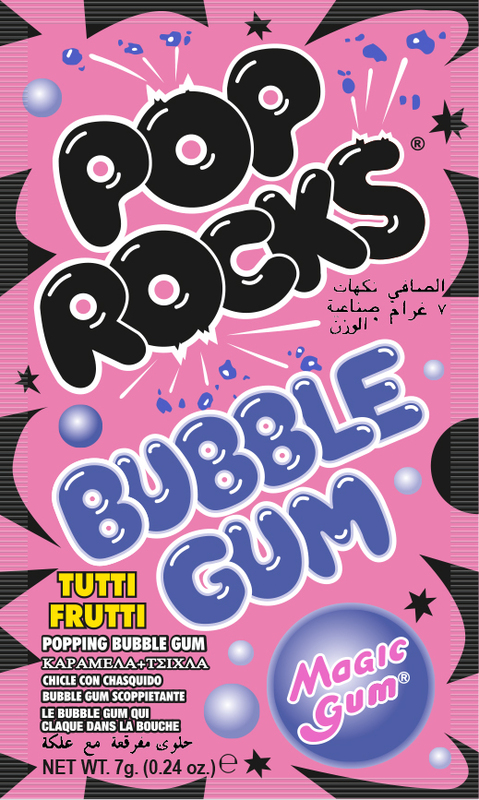 For sure, they are the masters of popping candy, but here in this website we are interested in the bubble gum version: “POP ROCKS Bubble Gum”. It is presented in a sachet/bag which contains particles of popping candy and particles of gum, so when they are placed inside the mouth the consumer gets both effects: The fizziness and exploting particles from the candy and the chew and bubble ability of the gum! I thank Ms Marta Mas for her time.